One of the worst things about being a nurse is having to work holidays. Sure, you get paid time and a half, so it's a good way to save up a bit of extra money, but it really stinks to be away from family and friends. As a new nurse, especially, you're at the bottom of the heap and generally have the worst possible schedule. My poor husband Geoff has definitely worked his share of holidays this year (Christmas Eve, Christmas, and Mother's Day stand out the most) and was scheduled to work last night on Memorial Day. 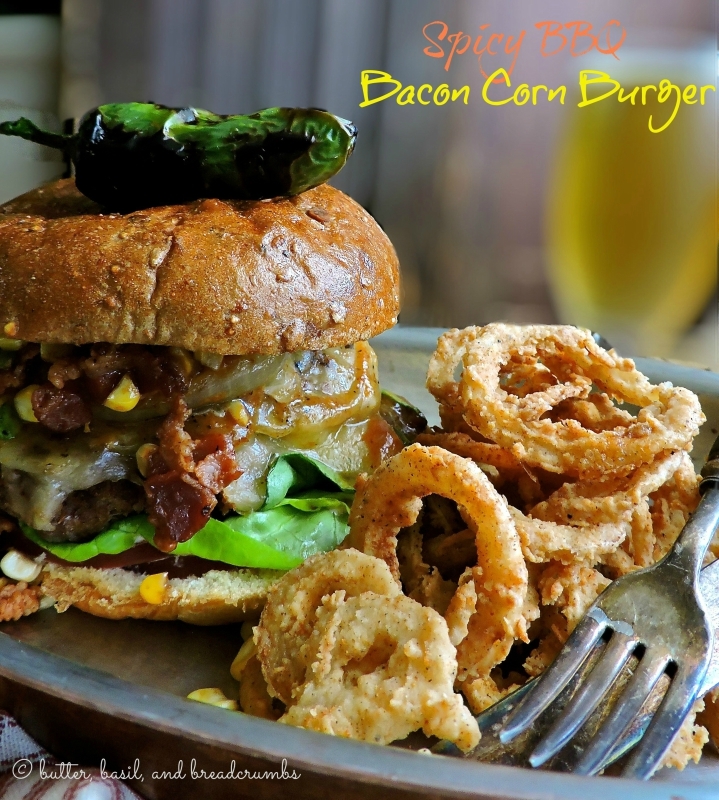 We managed to get in a fun canyon drive in the afternoon, and made some tasty burgers and fries for dinner, but I wanted to send him off to work with something fun and delicious to share with his co-workers. 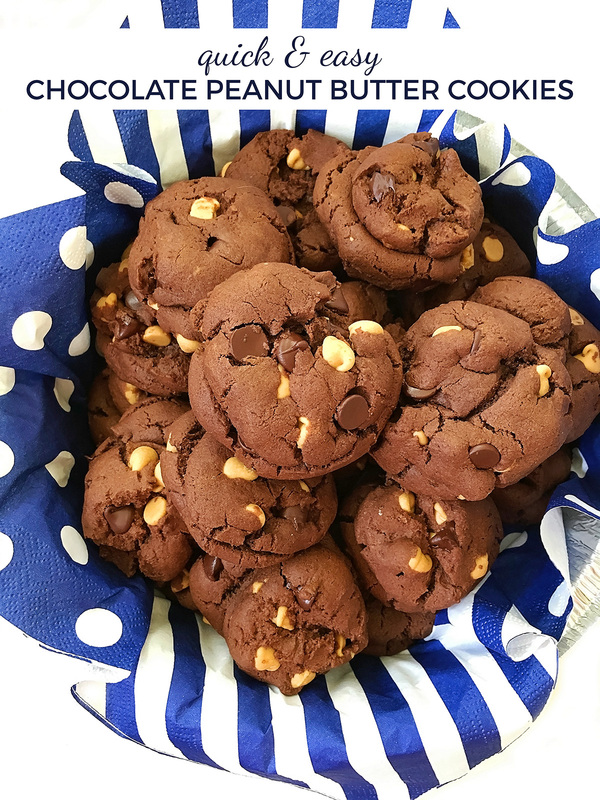 I made a few quick tweaks to my favorite chocolate chip cookie recipe, and these delicious and quick chocolate peanut butter cookies were born! I know I already have a delicious chocolate peanut butter cookie recipe or three on the blog, but these ones are pretty awesome too! They have the texture of a chocolate chip cookie, but the flavor is a delicious blend of chocolate and peanut butter. 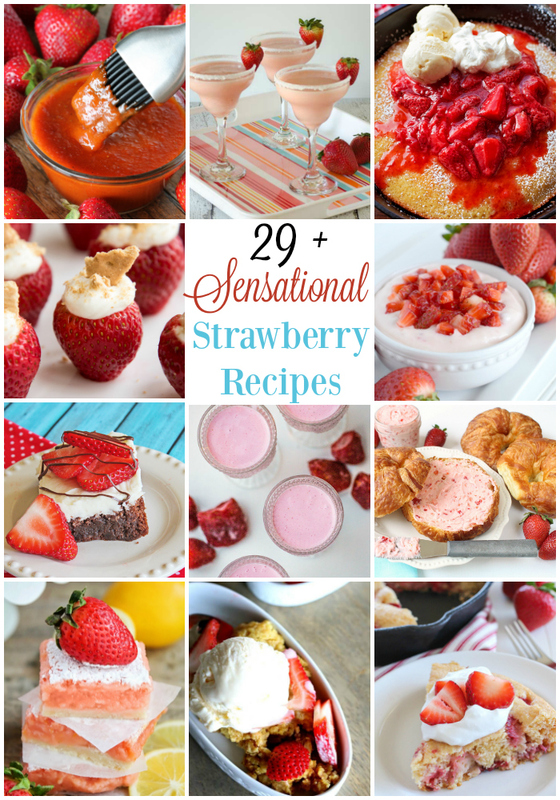 Super delicious and super easy! Preheat the oven to 350. Line two baking sheets with parchment or spray with cooking spray. In a large bowl or the bowl of a stand mixer, cream together the butter and peanut butter. Add the brown sugar and sugar, and beat until fluffy. Add the vanilla, egg, and egg yolk, and beat until smooth. 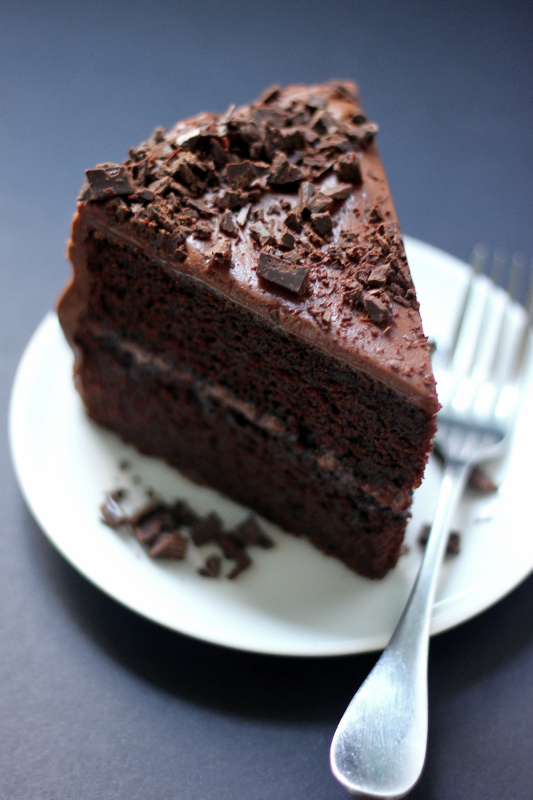 In a small bowl, whisk together the cocoa powder, flour, and baking soda, and add the dry ingredients to the wet ingredients. 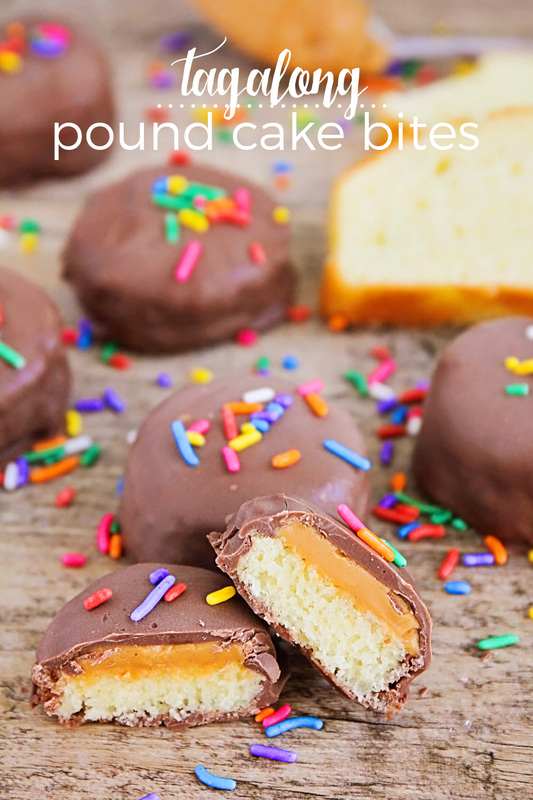 Fold in the peanut butter chips and dark chocolate chips. Shape the dough into one inch balls and flatten slightly. Bake 11-13 minutes. Let rest on baking sheets 5 minutes before removing to cooling rack. These spicy avocado and salsa breakfast tacos are quick and easy to make and packed with flavor. 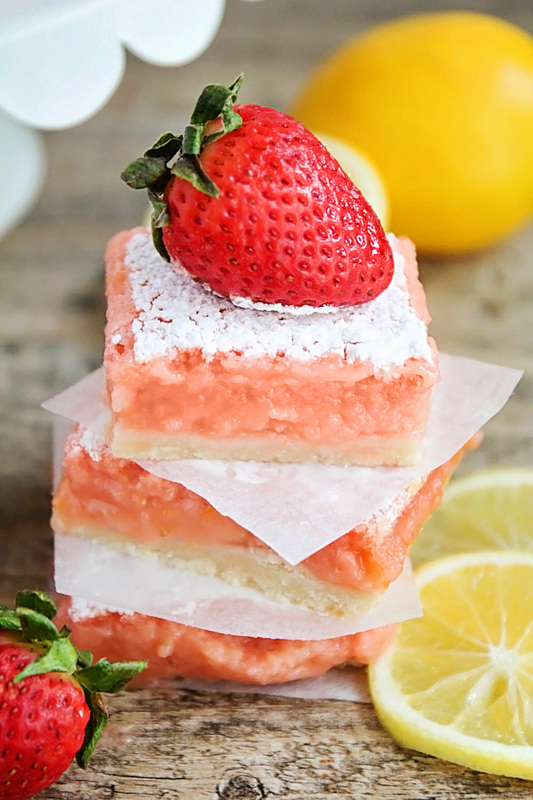 A delicious way to start the day! Tacos? For breakfast? Yes, definitely! Tacos are one of the greatest foods ever, so why confine them to just lunch and dinner? 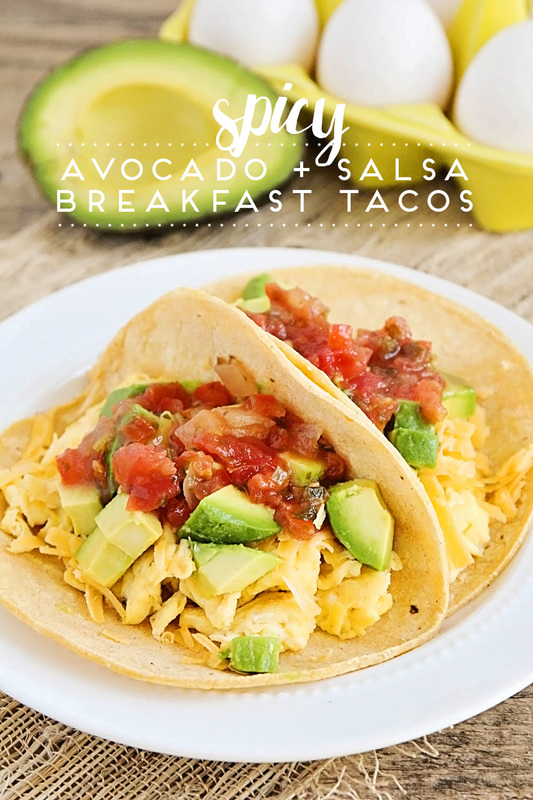 These spicy avocado and salsa breakfast tacos are one of my all time favorite breakfasts, and they take only a few minutes to make. Perfect for a busy morning when you need a hearty breakfast to get you through the day! 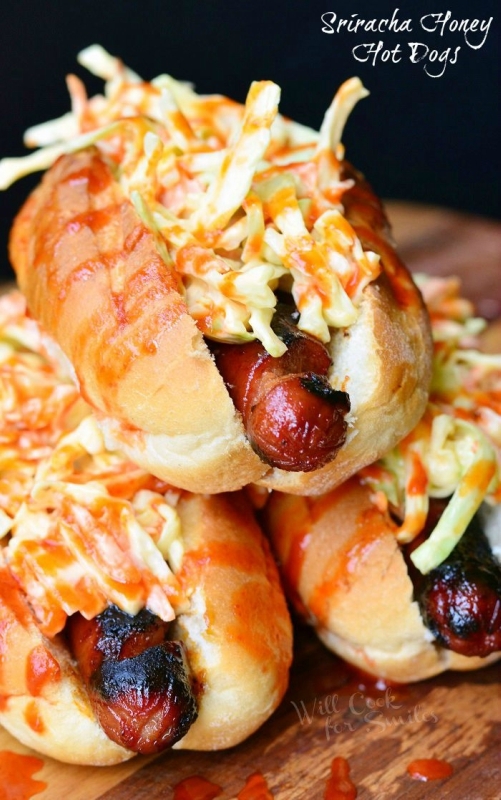 When I make these for the kiddos, I leave out the sriracha and use mild salsa, but my husband and I love them spicy. These tacos are so simple but so flavorful too. Yum! Heat the oil in a large skillet over medium heat. In a small bowl, whisk together the eggs, sriracha, and salt and pepper. Pour the eggs into the skillet and stir gently with a spatula until set. Warm the tortillas in the microwave for 30 seconds, or until softened. 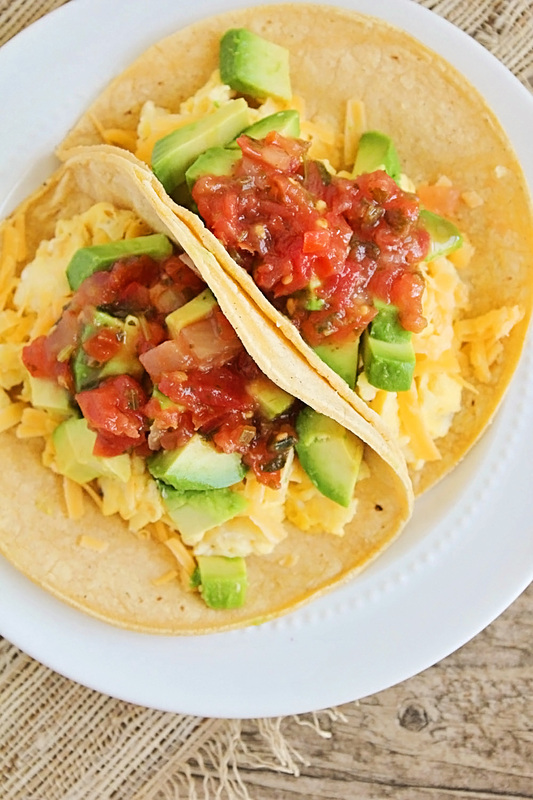 To assemble the tacos, divide the eggs between the tortillas, and top with cheese, avocado, and salsa. Enjoy! Hey guys! 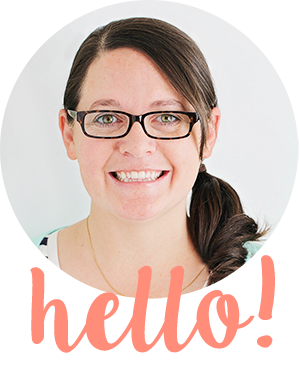 I'm Cort, from a silly little blog called Little Red Hen and I am really excited to be here! Like, as excited as I get about great food, so that is definitely excited! Alicia invited me to put together a Memorial Day Roundup, and I jumped at the chance. I've just done some calculations and realized I've known Alicia for half of my life. I have to say it is has been the best half of my life. Coincidence? I think not! She's one of my favorite people, not just because we both really, really like to talk about food; not just because we've driven hours together just to get Krispy Kremes; and not even just because she shares her delicious creations with me. Nope, it comes down to the fact that she has the most contagious laugh, has the craziest stories, and is one of the best people around. But, let's talk food, shall we? Memorial Day Weekend is coming up and you know what that means! 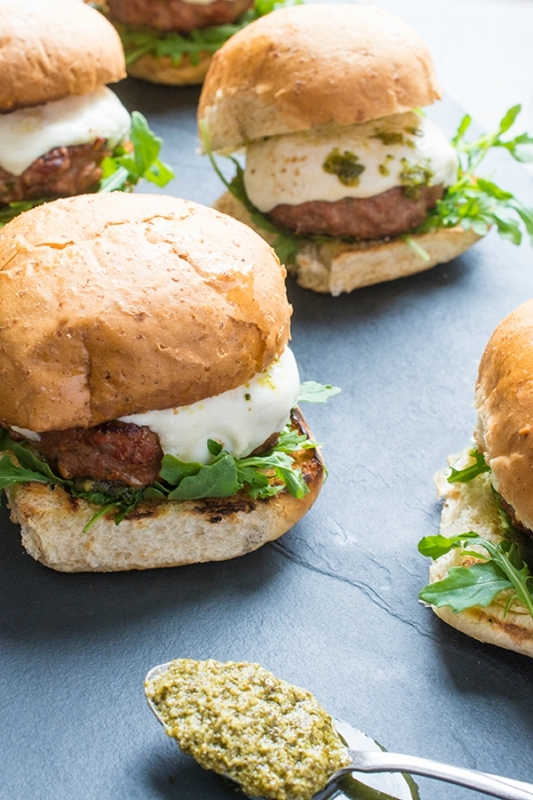 Dust off the grill and call up some friends because summer eating is about to begin! 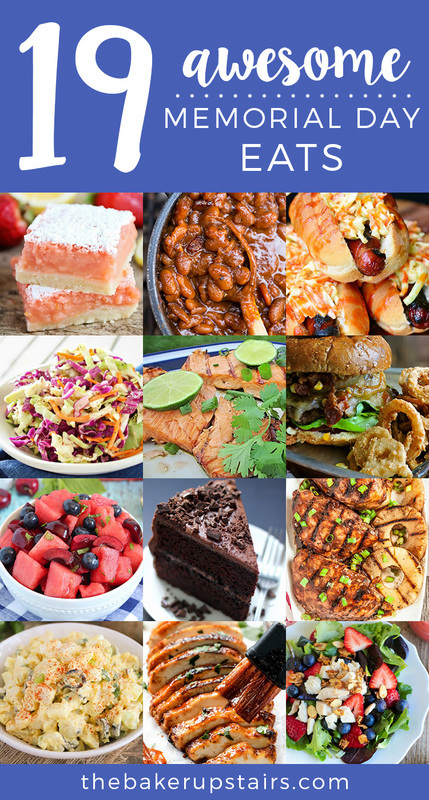 I've put together 19 recipes you've got to try this Memorial Day Weekend. Why 19? 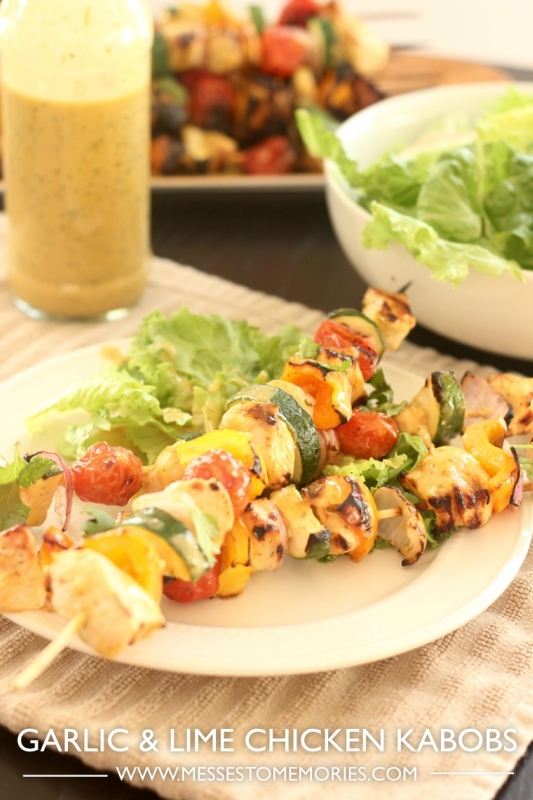 Well, that's enough for a delicious salad, freshly grilled meats, and a couple sweet, summery desserts for not just one day, but for Friday, Saturday, Sunday, and Monday. See how much I like you guys! 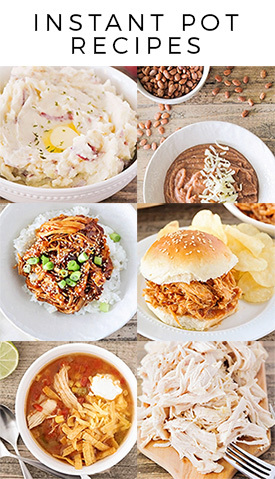 I got so hungry putting this roundup together. That's a good sign, isn't it? 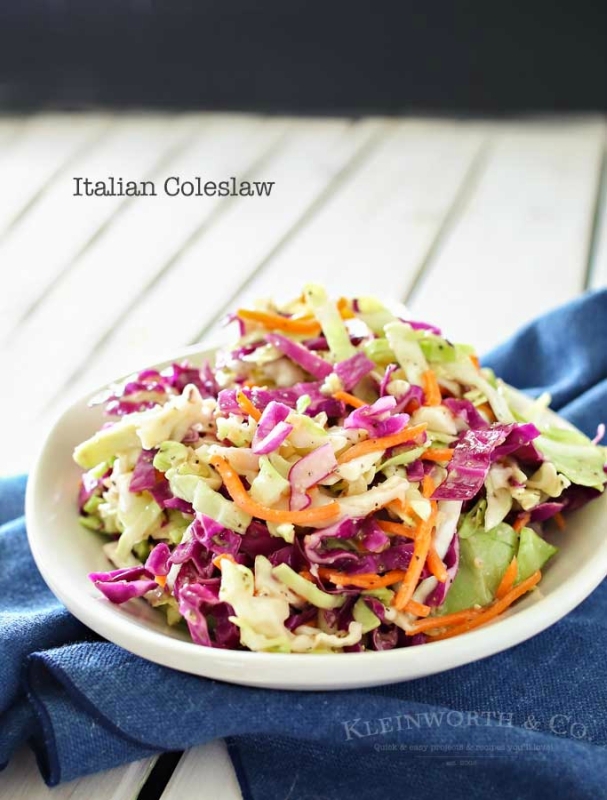 Italian Coleslaw from Kleinworth & Co. 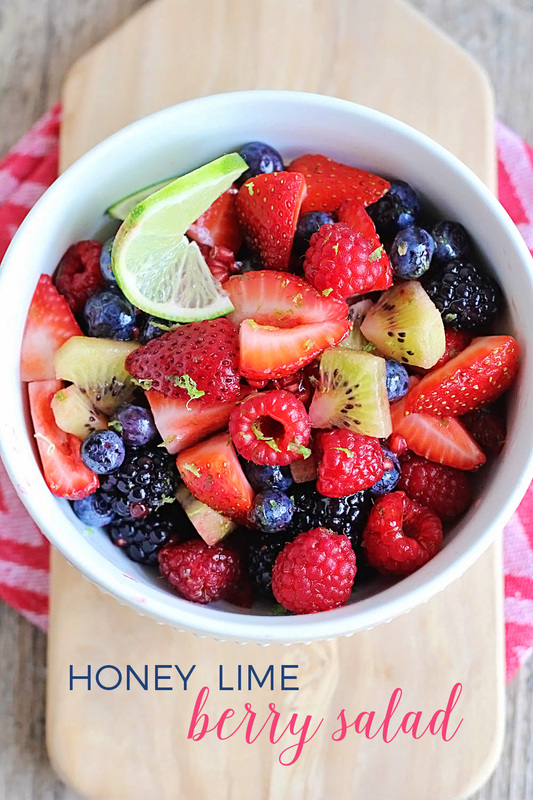 This honey lime berry salad is so fresh and delicious! 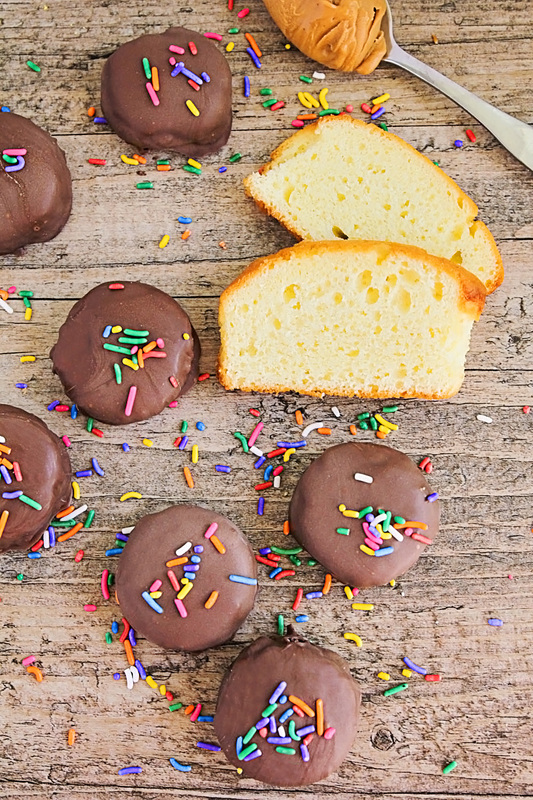 It's made with just a few simple ingredients and takes only a few minutes to make. 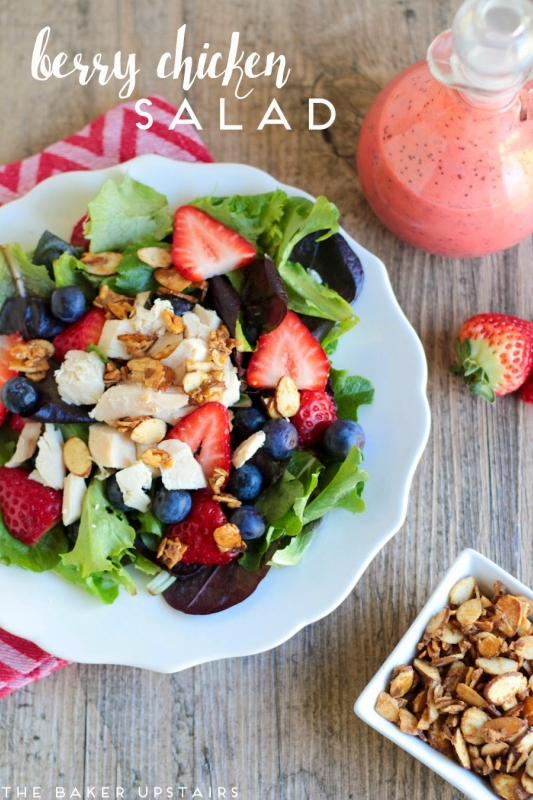 This honey lime berry salad is pretty much everything that's great about summer! Fresh berries, lime zest, and honey combine to make a salad that's fresh and bursting with flavor. 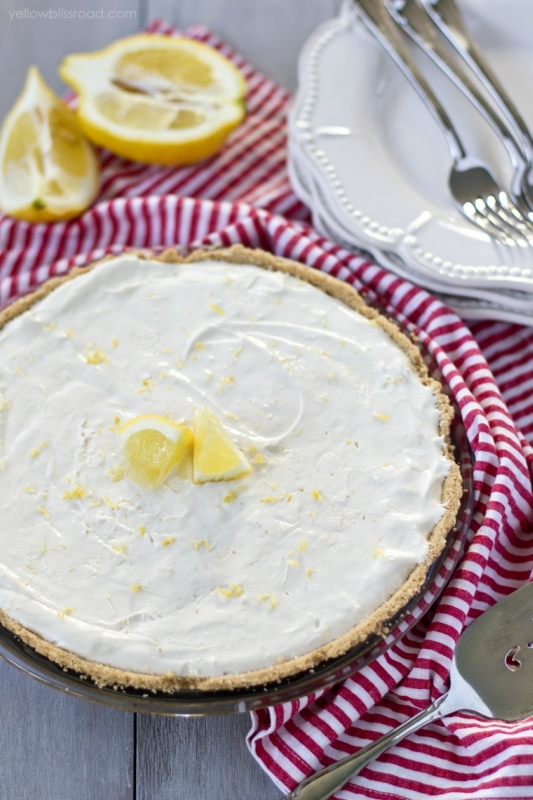 We make this almost nightly all summer long, and it's a favorite with the whole family. 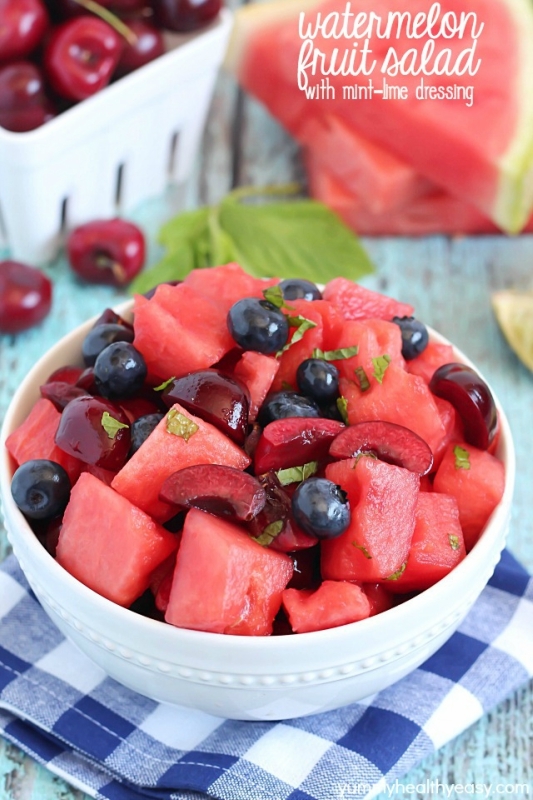 This is really just the best fruit salad recipe ever... it works with any type of fruit, and the honey and lime amp up the flavor and make it extra delicious! 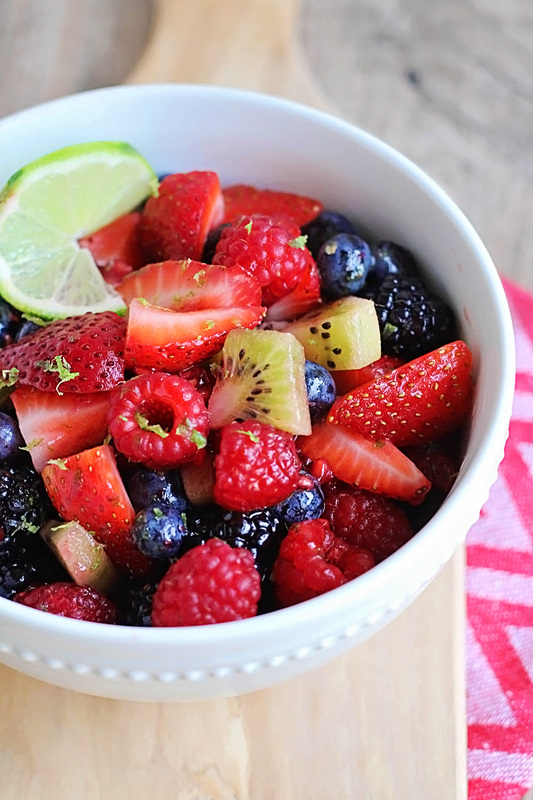 Toss the strawberries, blueberries, blackberries, raspberries, and kiwi together. 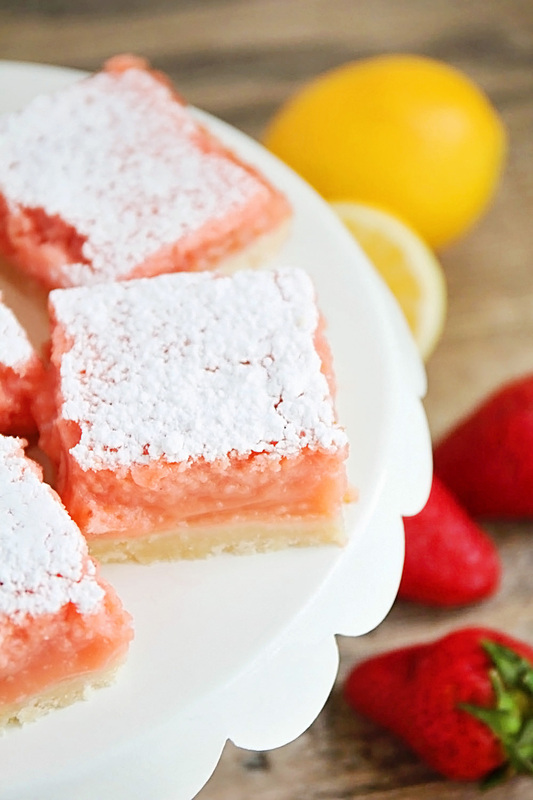 Sprinkle with lime zest and drizzle with honey, and toss to distribute evenly. 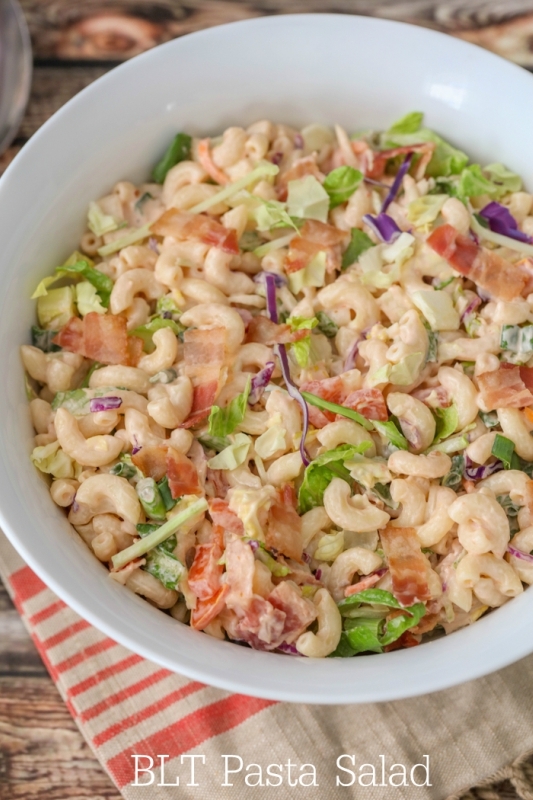 This salad tastes even better if it’s refrigerated for 30 minutes or so before serving to allow the flavors to meld, but it’s delicious either way! 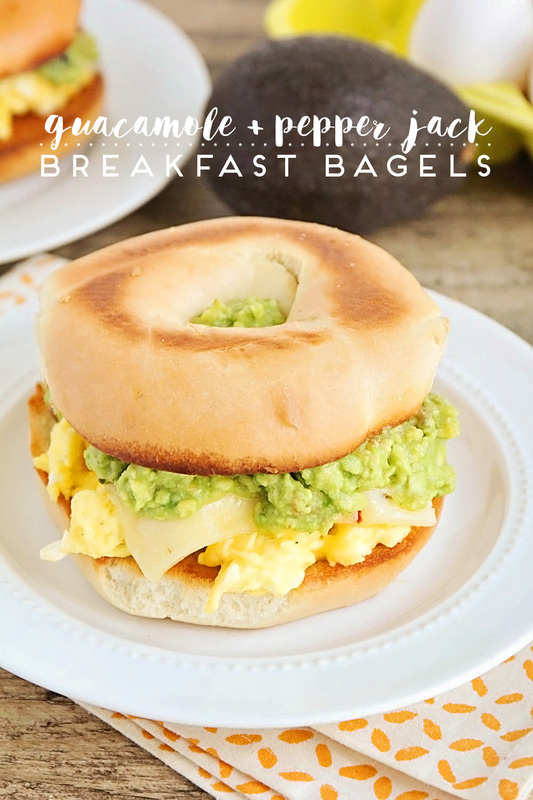 These guacamole and pepper jack breakfast bagels are ready in under 15 minutes and bursting with flavor. The perfect hearty breakfast for a busy day! Lately I've been trying to only go to the grocery store once a week or less, and it has been a challenge. It definitely means a lot more creativity when it comes to meals! We eat toast or cereal for breakfast most days because it's quick and easy. This week, however, we ran out of both! It was time to roll up my sleeves and actually make a hot breakfast, and thus these guacamole and pepper jack breakfast bagels were born. I found some old bagels in the bottom of the freezer, finally used up that avocado that has been sitting on the counter taunting me, and managed to pull together a tasty breakfast in less than fifteen minutes. Score! If you can't handle spicy food (like my kids) then by all means swap the pepper jack for cheddar and leave out the sriracha. They'll still be delicious! Toast the bagels and spread with butter. Make the guacamole by mashing the avocado with a fork, the stirring in the pico de gallo, lime juice, and salt and pepper to taste. Heat a small skillet over medium heat and add the oil to the skillet. Whisk the eggs with the sriracha. Pour the eggs into the preheated skillet and cook, stirring gently with a spatula, until set. Remove from heat and sprinkle with cheese. 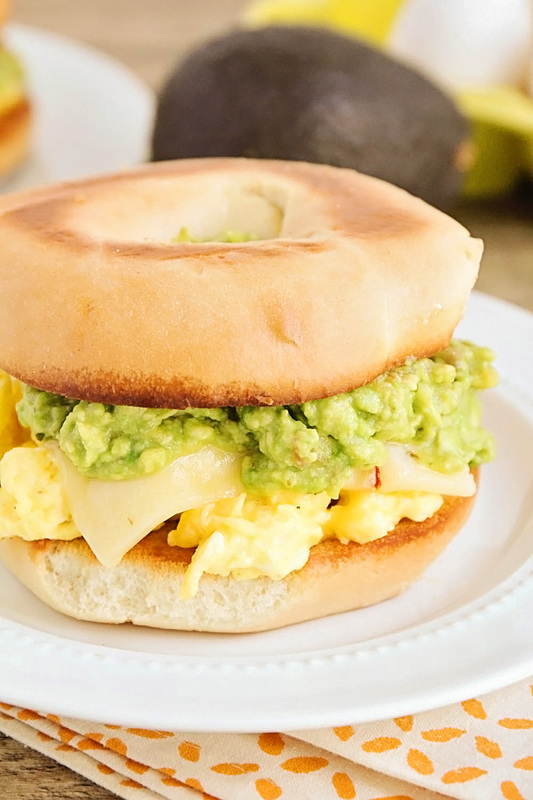 To assemble the sandwiches, on two of the bagel halves, layer egg, pepper jack, and guacamole, then top with the other bagel halves. Enjoy! These delicious homemade corn tortillas have only three simple ingredients and are so easy to make! This year for Mother's Day, my husband and kids gave me the cast iron tortilla press I've been eyeing for years now. I know it's totally not necessary, and just one more (incredibly heavy) kitchen gadget, but I've wanted one for ages. I just love the idea of all of my tortillas being uniform (because I'm an incurable perfectionist.) I've been making these flour tortillas for years now, but I had never tried corn tortillas. I ran out to the store for a bag of masa harina, and I was all set! I was seriously shocked at how easy these tortillas are to make. 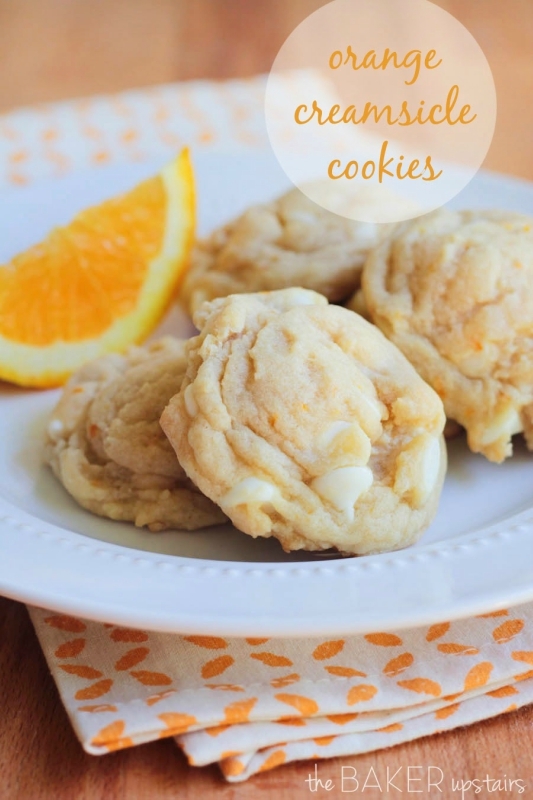 Only three easy ingredients, and they are ready in less than 30 minutes! I started by mixing my dough, and then measured it out into 1 ounce balls (again, due to my perfectionism). 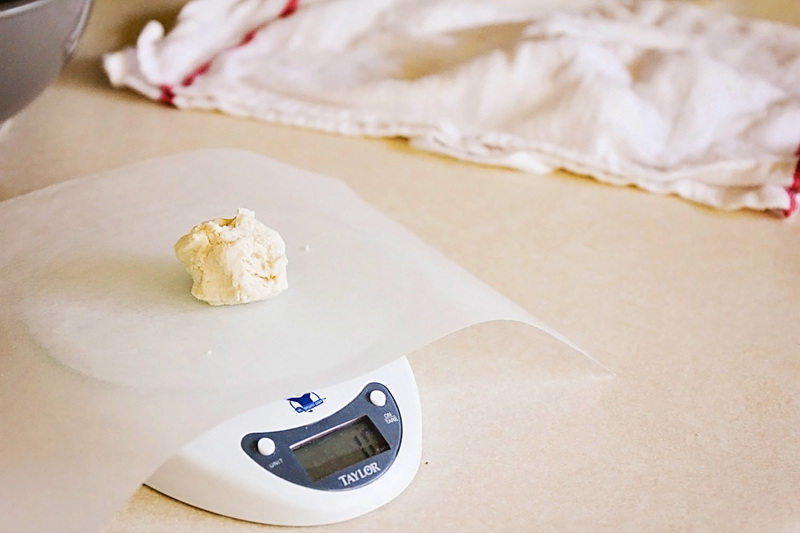 I would definitely suggest just eyeballing the balls to be about one inch, instead of using a kitchen scale, unless you are as crazy as I am. I put my balls of dough between sheets of parchment, and it worked fairly well, but I think wax paper would be a better choice. About halfway through, my parchment got a little wet and wrinkly from the moisture in the dough, and started leaving wrinkles on the dough. The tortilla press did a great job of smushing the dough into a flat tortilla (and it was pretty fun to use, too!). 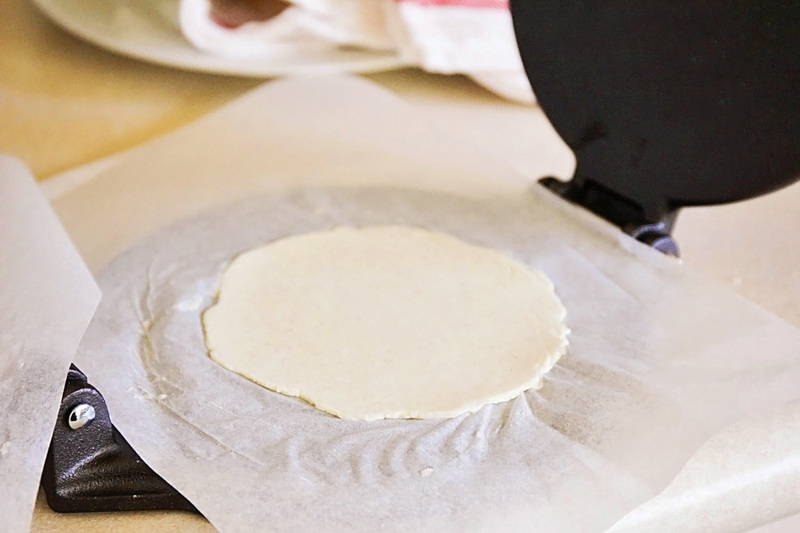 If you don't have a tortilla press, you could do the same thing with a rolling pin. One thing I found helpful was to make sure the dough was moist and pliable. If the dough is too dry and crumbly, it will have a hard time flattening out into a good sized tortilla. 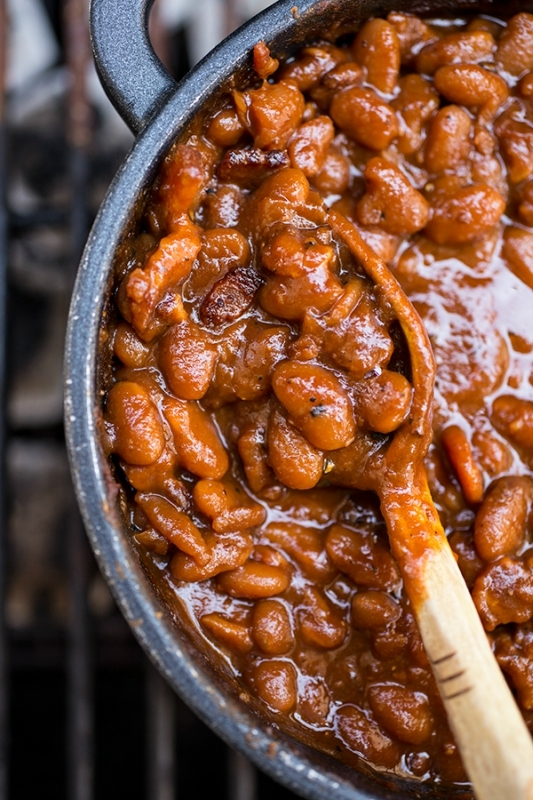 From there, they'll cook for 30-45 seconds per side in a medium skillet over medium heat, and then they're ready to eat. Mine were pretty similar to store bought corn tortillas, with a few advantages. First, they are way more pliable and don't tear or crumble when you bend them. We made tacos with them for dinner, and they were perfect. 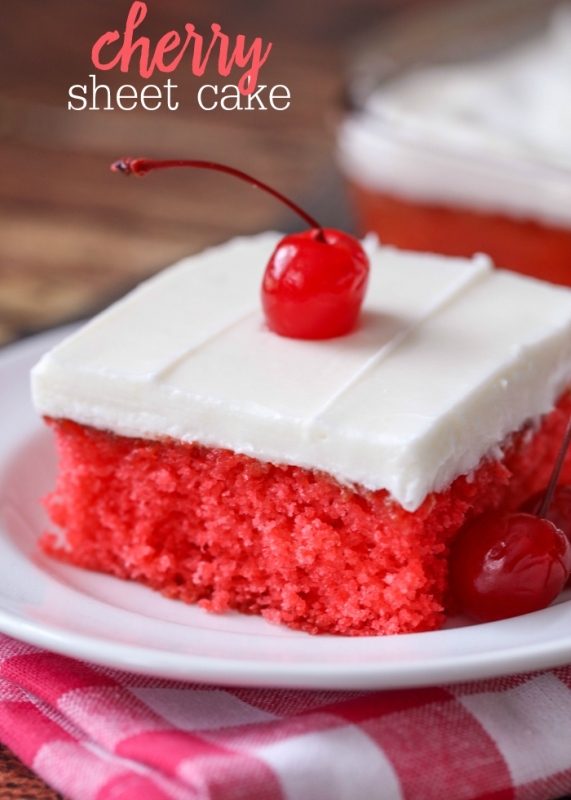 Second, the texture is a little smoother and the taste is better too! They're definitely the best corn tortillas I've ever had (and I've had a lot of corn tortillas in my day). 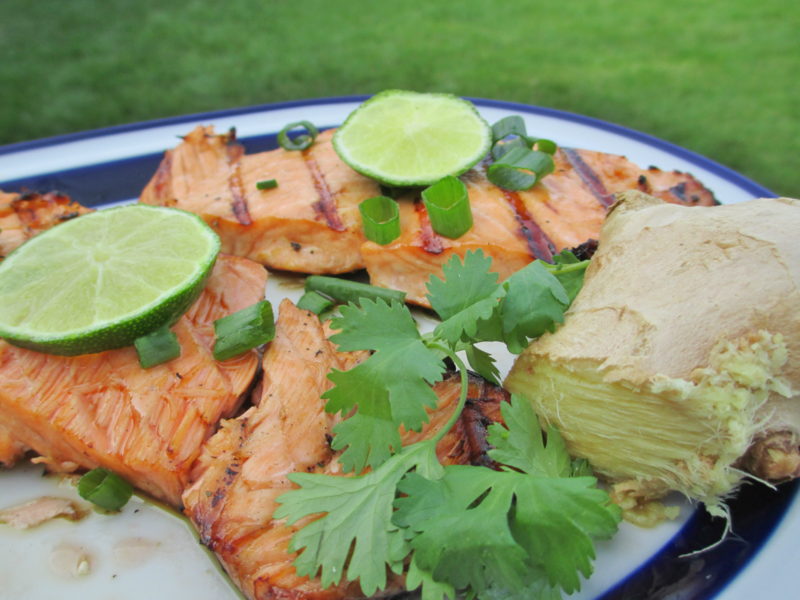 I'm looking forward to replacing all my store-bought tortillas with homemade! In a medium bowl, whisk together the masa and salt. Add the water and stir until combined. Add more water as needed to form a dough that is thick but not crumbly and has a similar texture to play dough. Roll the dough into one inch balls (I got twenty from my batch). Cover the balls with a damp towel to keep them moist. Heat a medium skillet over medium heat. 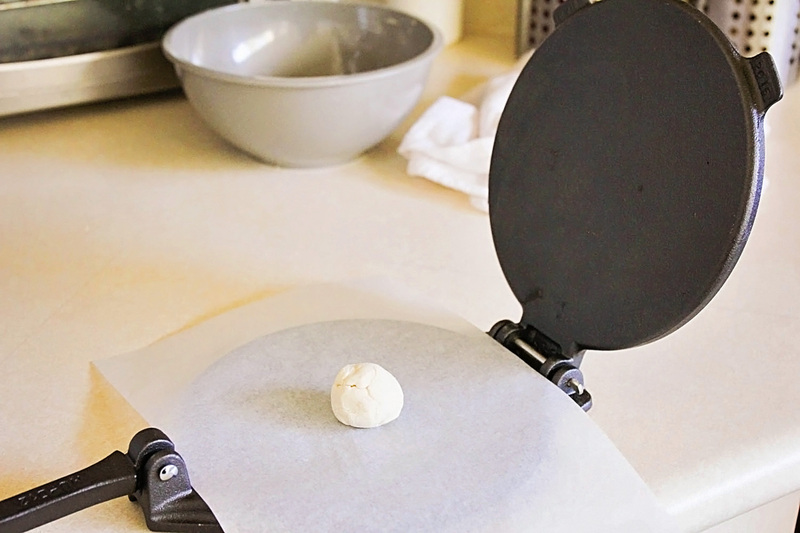 Place the balls of dough into a tortilla press between squares of wax paper, or roll out between squares of wax paper. Cook the tortillas for 30-45 seconds per side, or until they appear dry and have small browned spots. 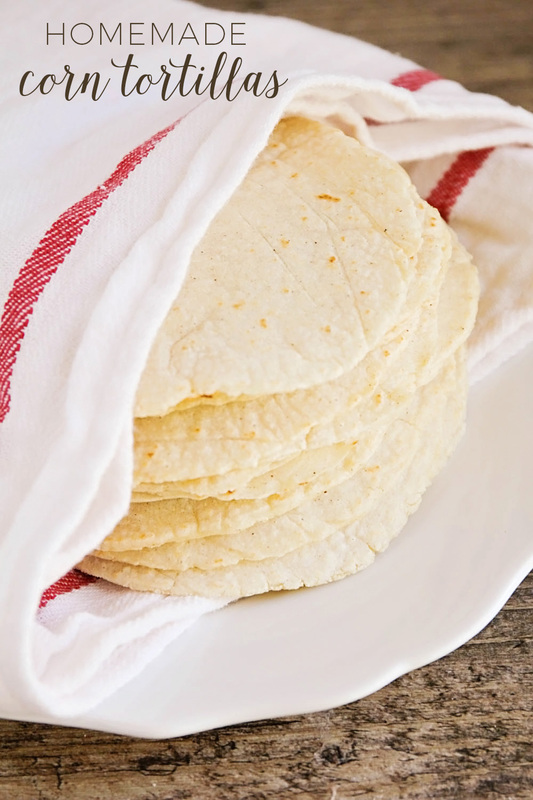 Wrap the cooked tortillas in a towel to keep them warm and moist while you cook the remaining tortillas. 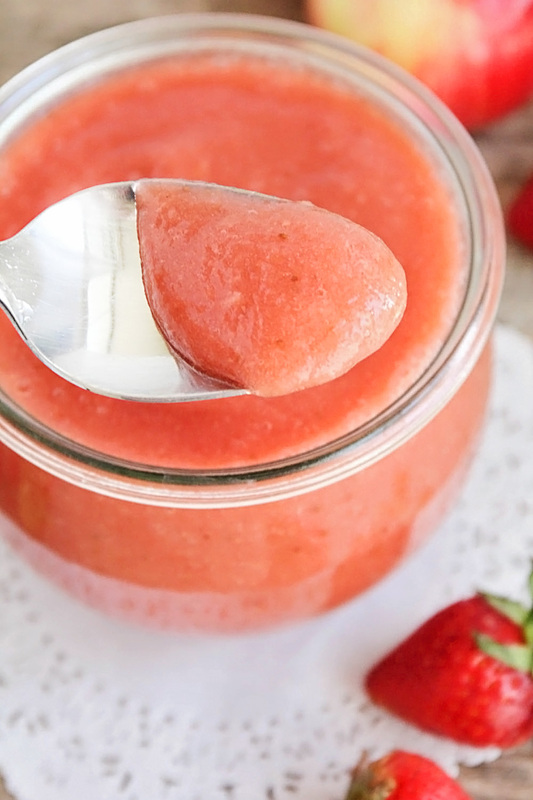 This homemade strawberry applesauce is so delicious and better than store-bought! 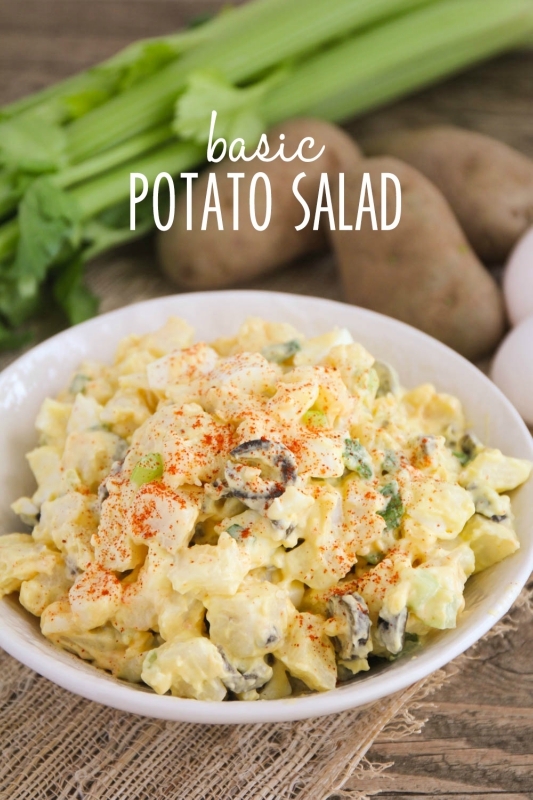 It takes just thirty minutes to make and is so flavorful! If there's one thing my kiddos love, it's applesauce. We go through so much applesauce around here that it's crazy! I make and can applesauce every fall using apples from a local farm, but no matter how much I make, it never lasts all year. My kids, sadly, love store-bought applesauce even more than homemade applesauce, because they like that they can choose different flavors. They're both crazy about strawberry applesauce, so I decided it was time to try to make it at home. 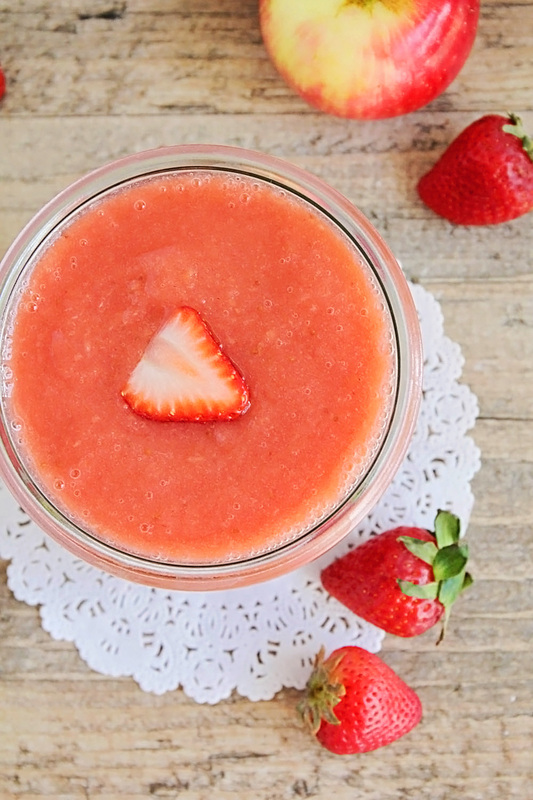 This strawberry applesauce turned out amazing! 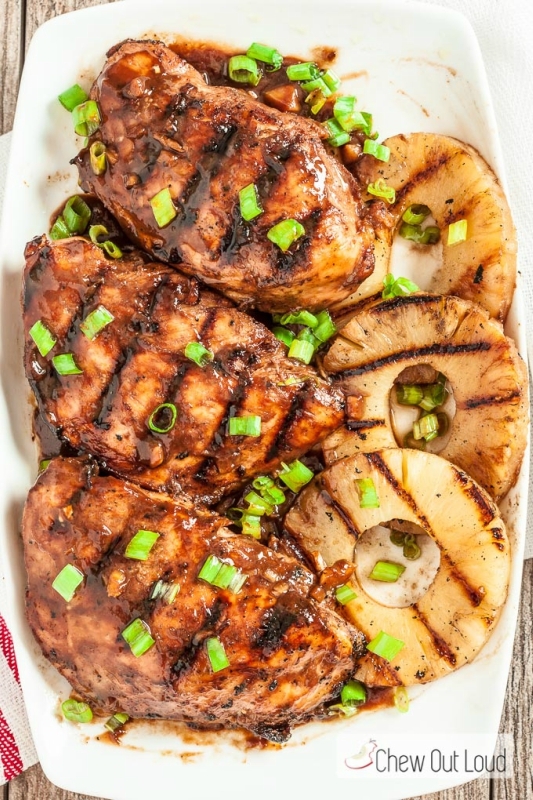 I used honey crisp apples because they are my very favorite, and I think they added a lot of flavor. 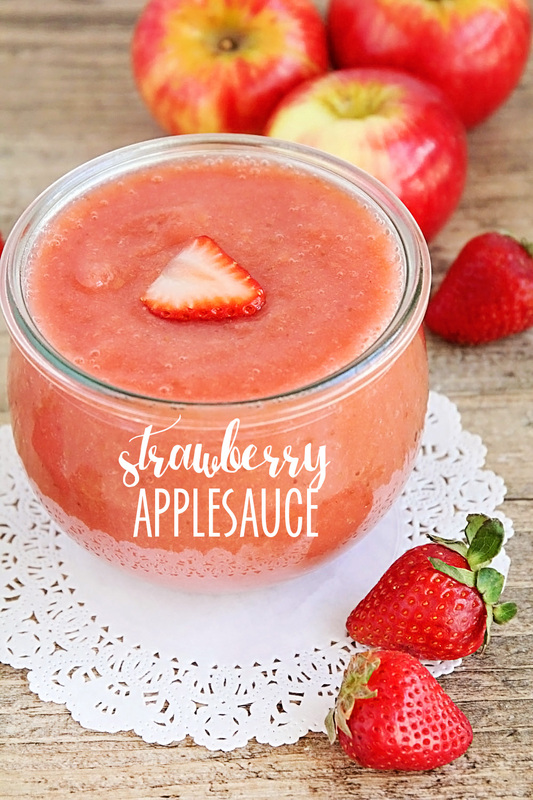 I love the apple and strawberry combo, and the applesauce is both sweet and tangy. My strawberries were a little on the tart side, so I added some sugar, but if your strawberries are sweeter than mine were, you may not need any added sugar. I would recommend giving it a little taste before adding sugar so you know how much it needs to be sweetened. 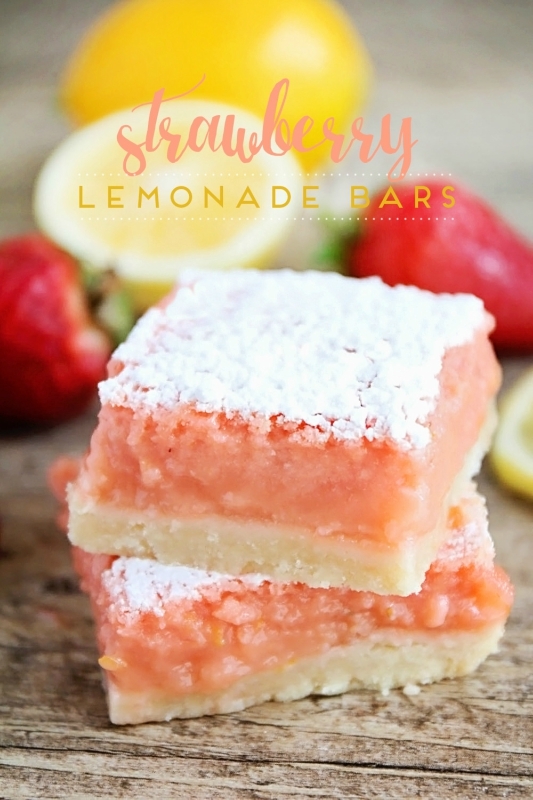 This is definitely going to be a fridge staple at our house! 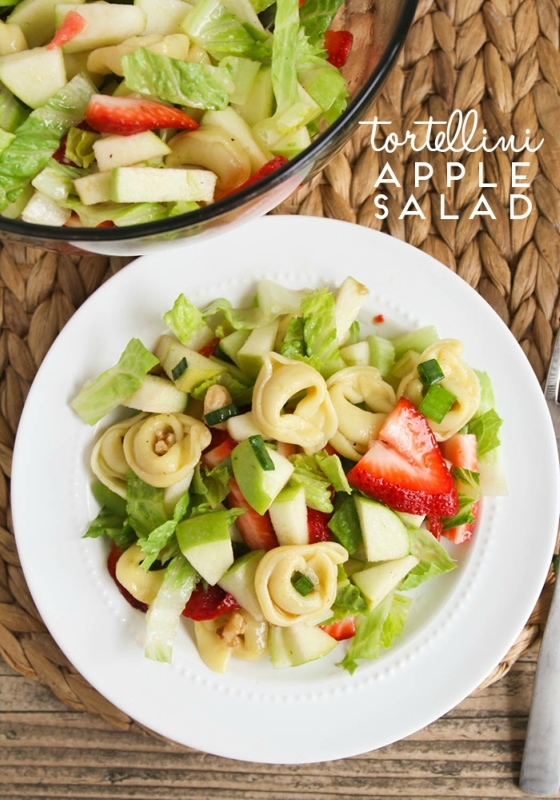 Add the apples, strawberries, and water to a medium saucepan. Bring to a simmer, then cover, reduce heat, and simmer 25-30 minutes, or until the apples are soft. Puree using an immersion blender or food processor. Add 1 tablespoon sugar, taste, and add more sugar as needed. Stir in the vanilla and serve. Keeps in refrigerator for up to 5 days.